Our aim was to provide data regarding uptake of gynecological early detection measures and performance of breast self-examinations among migrant women in Germany. Cross-sectional self-reported data were collected using paper-and-pencil questionnaires. Descriptive analyses, Chi square-tests, and logistic regression were applied. Results were adjusted for educational level. Of 5387 women, 89.9% were autochthonous, 4.1% German resettlers, 2.8% Turkish, 3.1% other migrants. Participation rates regarding cancer screening differed significantly, with the lowest proportion in Turkish migrants (65.0%), resettlers (67.8%), other migrants (68.2%) and autochthonous population (78.2%). No differences in performance of breast self-examinations were detected. When adjusted for education, results indicated only slight changes in the odds to participate in screening irregularly or not at all. Results support existing evidence by showing lower participation rates in cancer screening among migrant women, but there were no differences regarding breast self-examinations. 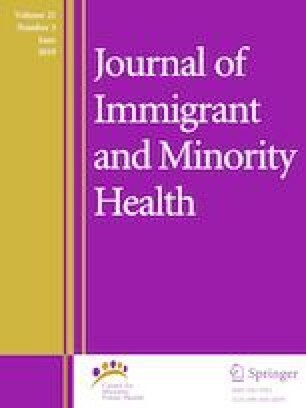 Migrant women form a potential high-risk group for late-stage diagnosis of cervical or breast cancer. This work was supported by the German Federal Ministry of Health within Research for the National Cancer Plan, Grant Number NKP-332-028. The content of this paper is solely the responsibility of the authors and does not necessarily represent the official views of the funders. The authors declare that they have no conflict of interest. This study was not linked to a mammography screening organization. Statistisches Bundesamt. (2017): Bevölkerung und Erwerbstätigkeit - Bevölkerung mit Migrationshintergrund. Ergebnisse des Mikrozensus 2015. https://www.destatis.de/DE/Publikationen/Thematisch/Bevoelkerung/MigrationIntegration/Migrationshintergrund2010220157004.pdf?__blob=publicationFile. Accessed 23 Dec 2017 [Article in German].